Lionsgate has released three clips from their upcoming vampire movie Daybreakers that stars Ethan Hawke, Willem Dafoe and Sam Neill. If you’re the type that’s sick of all the friendly vampires in Twilight and you’re craving some real killers, Daybreakers is for you. And even if you’re not into vampire movies, I think the premise of Daybreakers is quite cool: it’s the year 2019 and vampires are now the dominant species on the planet with the remaining humans being farmed for blood. But with the remaining blood supply dwindling, a vampire scientist (Ethan Hawke) finds himself siding with the human resistance. The film is directed by Michael and Peter Spierig. So if you’re curious…hit the jump to check the clips out. 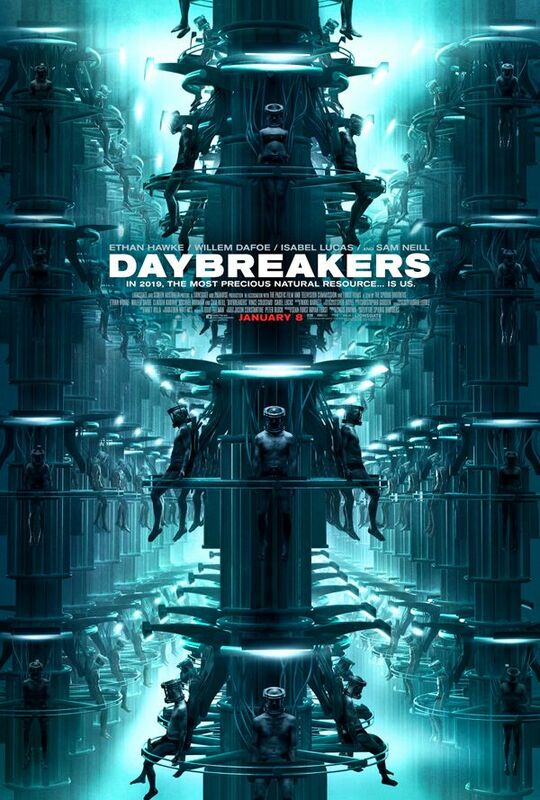 Daybreakers hits theaters on January 8, 2010. For more on Daybreakers, here’s my video blog about the film with Peter from Slashfilm. And here’s a trailer.